The Generation Y (also known as the millennials), born between 1990-2000, is coming of age, and they hold most of the keys to unlock grocery retailers' revenue streams. By 2022, Gen-Y will number over 450 million in India. The millennials will play a big role in India's economic growth, when they enter the workforce and start families. They will occupy more than 47% of India's workforce in the next two years. Globally too Gen-Y has become the biggest and accounts for more than 28% of the 7.4 billion population. While many predict the next generation, the Gen-Z (born after 2000), with entirely different preferences and behaviours, will bring disruption; the real game changer will be Gen-Y. For ages, there have not been many changes in the way grocery retailers managed their business. Even the fairly new grocery e-tailers like Grofers and Big Basket have not understood the market segments well. They have been sinking in investors' funds deeper and deeper into penetrating households and outrun the kirana stores. Amazon and Flipkart are sensing big potential in groceries and have made tentative steps in testing the waters. The Gen-Y - with its size, tech-savvy mindset and sheer purchasing power - is already driving change elsewhere in the world, unlike any other generations before it. Indeed their shopping habits are disrupting the business models of grocery stores. In order to keep up with the pace of change that the Millennials are familiar with (they were born in the era of rapid changes, remember? ), retailers in grocery must deliver better shopping experience, much more than their products may offer. In a high-growth developing economy, shopping choices are aplenty. Gen-Y tends to spend less on groceries overall as compared to others. They search for quality food at better value in many more stores than before. They will spend their rupees at places where similar values exist for them. 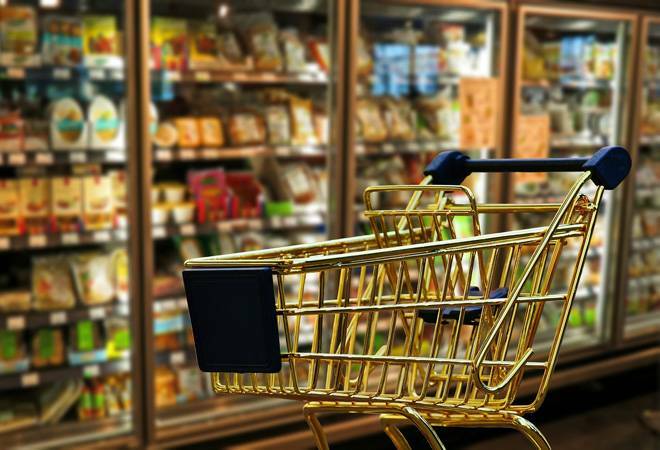 Most importantly for the retailers, they look for places with meals in their minds instead of planning to stock refrigerators for weekly cooking at home. Another insight was that the Gen-Y doesn't frequent grocery shops much, preferring to go online more. For them, quality is more critical than quantity but at the same time they consider themselves as "smart shoppers seeking value" when it comes to grocery shopping. With the hyper proliferation of products, they are increasingly switching between brands and retailers with comparable quality. Brand loyalty is probably not something they stick to, given that most brands offer comparable quality at reasonable value. This perhaps explains why private label products find more acceptance today. Most private label groceries from big retailers offer the same quality at lesser price than big brands from HUL, ITC or P&G do. Further, Gen-Y prefers digital apps or coupons to physical ones when it comes to saving money on purchases. In India, just as in the US, the most populous age group is the 20s. The Gen-Y tends to get married later than their older generation, the Gen-X, but they get into more complex lifestyles when they start their families. It is interesting to note that the single Millennials shop differently than the ones with families. This has big ramifications for retailers when majority of this age group gets married in a couple of years and raise a family. The behaviour of current Millennials with children will provide some indications. What is astonishing is that Gen-Y with families shop almost similarly as Gen-X than one can imagine. It is now apparent why Amazon Pantry has identified the best family segments with its promo. Clearly, life stage, not generation, is a better predictor of future purchase. Revised loyalty programmes: Given their attitude to shopping smart with little/no loyalty to anyone, attracting and retaining Gen-Y with instant discounts, brand advocacy programmes and engaging shopping experiences will be key. Making special discounts at the beginning of the month (as Amazon does) to encourage bulk purchases is one good step. Offer right product mix: They don't like processed food and are willing to pay higher for natural and organic products, unlike other generations. They are happy to look at meal units as is fashionable in the Silicon Valley where ingredients to cook a dish as per recipe will be sold as one unit. Startups like Blue Apron and Goodeggs are thriving on this unique insight by empowering the Millennials to cook healthy meals without much effort. Grocers should look out for those who make frequent but smaller purchases for meals. Convenience is digital: Gen-Y doesn't want to make weekly trips to stores but prefers to get things their way at their time. They shop at all retailers: Amazon, Big Basket or Grofers. Technology is comfortable for them and they save money, time and hassles by shopping online. Making digital shopping more enjoyable will offer an advantage. Community engagement: Communicating louder than the competition in a crowded market is tough. Not only should retailers stand for certain values but also should listen to customers constantly. Engage in community activities locally to start dialogues with consumers at festivals and special occasions. This is a "Blue Ocean" today.